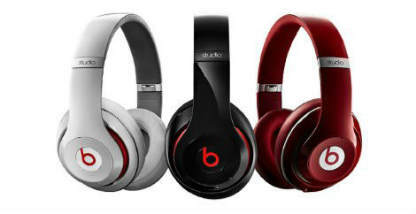 Whether or not Beats headphones are 'overpriced' is the topic of our blog today, and it is a very polarizing issue! There are many who believe that Beats' inherent trendiness and stylish design give them enough appeal to demand a premium; however, many audiophiles will point to inexpensive components and poor sound signature as reason enough to look elsewhere when buying a new pair of headphones! What Do We Mean By Overpriced? Before we dive into the heart of our post, let us first take a moment to discuss what “overpriced” really means. In general, the term “overpriced” is subjective, and completely dependent on personal beliefs regarding value and your personal definition of “expensive”. For the sake of this discussion, “overpriced” will be defined as when the price of an item (in our example, Beats Headphones) is greater than the sum of its parts, especially when there are other superior, less expensive alternatives. Now that we are on the same page with regard to this complicated definition, we can start to discuss Beats themselves and whether or not they are truly overpriced. How Much Do Beats Cost To Make? As you probably understand already, headphone manufacturers are under no legal obligation to share their per unit costs for the items they produce, so, the idea that we’ll ever know the official cost of a pair of Beats Headphones (so that we can directly compare “price to produce” vs “price sold” to get a better idea of whether or not the product is “overpriced”) is unrealistic. Fortunately for us though, a Bolt engineer by the name of Avery Louie actually did some compelling research on this very subject in 2015. 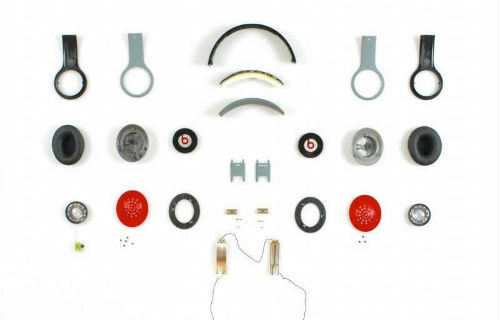 Louie procured a pair of $199 Beats Solo HD headphones and completely deconstructed them, down to their tiniest parts, and began to determine an approximate price for each individual component. What he uncovered might upset you, but probably will not shock you. Including estimated production costs and packaging, the materials needed to produce a pair of $199 Beats Solo HD headphones totalled a whopping $16.89, which is approximately 8.5% of retail. Another surprising discovery that Louie made while doing his research was that the Beats Solo HD’s contained several pieces of totally non-functioning metal that were included specifically to make the headphones heavier and more substantial! 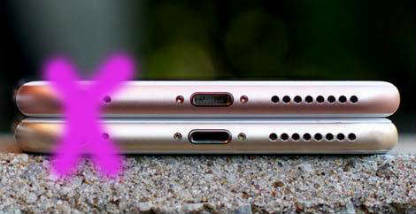 These metal pieces were included because consumers often believe (at least in the world of personal electronics) that heavier equates to higher quality. 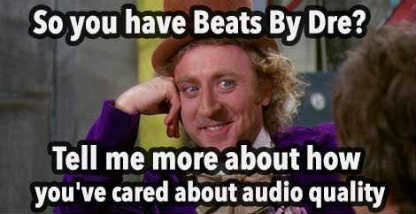 With regard to Beats, that is not the case. Why Are Beats So Expensive Then? 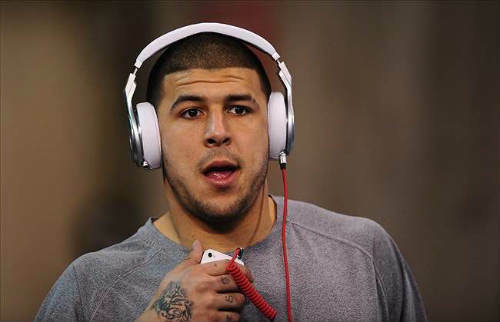 Have you ever been watching your favorite sporting event on TV and seen a famous athlete sporting a pair of Beats during warmups or after the game ends? Perhaps during that very same sporting event, you saw several advertisements for Beats during commercial breaks? Believe it or not, these player endorsements and advertisements cost tens of millions of dollars! Endorsements don’t stop with athletes; there are many A-List celebrities who love to show off their Beats, including: Katy Perry, Justin Bieber (photo below), Selena Gomez (photo below), Lady Gaga, Nicki Minaj (photo below), David Guetta, Diddy, Lil Wayne, Snoop Dogg, and more. All these endorsements add up, and Beats Electronics has to pay for them somehow! That “somehow” just happens to be charging WAY more for their headphones than their components are worth. Another component that goes into the price of a pair of Beats is almost purely psychological. Because of all of the aforementioned advertisements and celebrity endorsements, Beats give off an air of “hip”, “stylish”, and “high quality” (there has even been some research done that proves that consumers will regularly, *falsely* attribute quality to an item simply because of that item’s expensive price tag), and it is often human nature to want to own (and praise) hip/stylish consumer goods that are used by celebrities. Think of it as a way we can “connect” with a celebrity without ever having to meet them. If you want to look like Kobe Bryant while you shoot hoops and listen to music, you are one pair of $200 Beats away from doing just that. And that IS valuable to many people, though you could make the argument that those people might not sing the same tune if they found out how poorly crafted the product they bought truly is. The simple answer to this difficult question is-- YES! If your main goal in owning a pair of Beats is to make a fashion statement, and you aren’t at all concerned with audio fidelity, then we will never be able to convince you that Beats are overpriced, but, the second you realize that for that same $200, you could have your choice of over a dozen types of headphones from higher quality manufacturers, some of them looking every bit as stylish as a pair of Beats. We hope you will start to look elsewhere for your next headphone purchase. It really is difficult to justify paying $200+ on a pair of headphones that only cost $16.89 to produce though, isn’t it? For more information on Beats Headphones and to see some AWESOME examples of some headphones better than beats, check out headphones better than Beats.